Barry County is located perfectly between two of the most well-known beer cities in Michigan and the U.S. in Grand Rapids and Kalamazoo. Hosting a Brewfest with smaller breweries from around the state makes a lot of sense in this region. After a successful inaugural 2016 event, the Barry County Brewfest returns for a second year with a new location and some exciting changes. 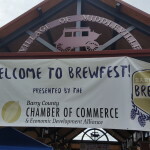 We had the chance to talk once again (see 2016 preview) with Travis Alden, President of Barry County Chamber of Commerce and Economic Development Alliance, about the Brewfest. Alden called the 2016 event a success, especially considering the horrible weather (rain and severe storms around Middleville, tornado sightings in the area). The 2017 Barry County Brewfest comes to Downtown Freeport on Saturday July 29th. The event taking place 12 pm to 8 pm will host breweries, cideries, a winery, and a meadery. 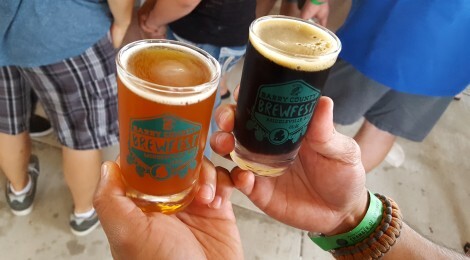 When asked about the changes taking place this year, Alden pointed out the increase in non-beer offerings and also the fact that this year’s event will feature 24 breweries. This is a large increase from the 18 breweries featured last year. The good news for fans of Michigan beer, there is a big variety and likely a brewery you have never tried before. 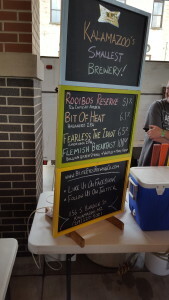 By my count, only six of the 24 breweries in this year’s lineup were at the 2016 Barry County Brewfest (Walldorff, Brite Eyes, Dark Horse, Right Brain, Shorts, Bells, Founders). Alden said they tried to include smaller breweries with smaller distributions or less known to the public. After feedback from last year, they also encouraged special release beers and a scale back on brands like Oberon and All Day IPA that everyone has already tried. Alden shares a similar feeling for the smaller style beerfest once again. He points out that with larger events offering 800 to 900 beers, attendees can be overwhelmed and not know where to start out. 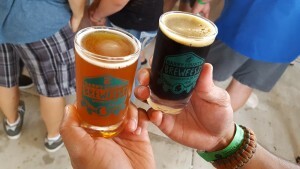 He points out that Barry County Brewfest “offers a lot of variety without being scary”. Last year, our top five beers (see our review) came from Arbor Brewing, Brite Eyes, Gonzo’s, and Walldorff. This year, we’re excited to see the return of Brite Eyes and looking forward to trying beers and ciders from several breweries we have not visited (Confliction, Painted Turtle, North Pier, Paw Paw). Another area that seems to have improved is the food. While last year’s event featured several local options, the 2017 Barry County Brewfest will feature food from local dining option The Shamrock Tavern. Guests will also have the option to use beer tokens or cash to pay for their food, a change from last year. 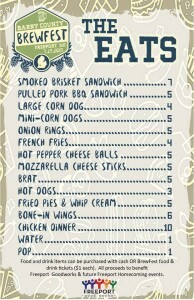 Check out this mouth-watering menu for what to expect on Saturday. Tim Krause returns after being a crowd favorite last year. Silent Bark, who is quickly becoming a top local event band, joins the event and should put on a great show. The main attraction perhaps takes place at 5:30, in the second annual Beard Derby. 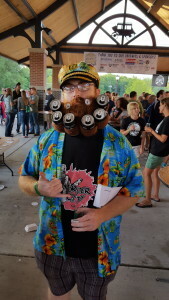 If you weren’t lucky enough to attend the 2016 Barry County Brewfest, you missed out on seeing some unique and very well-kept beards from around Michigan. 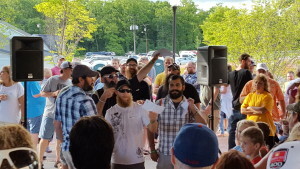 The Michigan chapter of the Bearded Villains host this event along with local company Heritage Beard let guests compete in several categories for top beard honors and also raise money for a charity. This year’s charity is Mission 22, an organization dedicated to veteran suicide awareness and prevention. Along with the derby, Bearded Villains will collect money for a 50/50 raffle to help support Mission 22. Tickets for the 2017 Barry County Brewfest are $22 in advance ($23.76 with fee) and $28 at the door. The price includes a tasting glass and 5 tasting tickets (4oz). Additional tickets ($1) may be purchased at the event. As mentioned above, tickets can also be used for food from Shamrock Tavern. The event will be held in Downtown Freeport (143 Division St.), see map below. 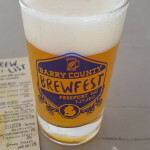 Alden calls events like Barry County Brewfest “great for community-building and for showcasing a great small town like Middleville last year”. 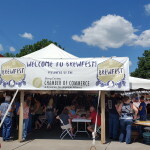 This year’s Brewfest coincides with the Freeport Homecoming and was the reason the small town was selected to host. Alden shared with us the host cities for both 2018 and 2019, but we will hold on to that news for now. Both year’s events do coincide with community events and celebrations. 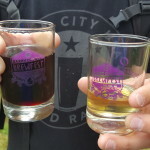 Having a different city host the Brewfest each year was called a crucial premise by Alden. Please join us at the 2017 Barry County Brewfest. Come enjoy 24 breweries, wine, cider, and mead. Relax with great music and food throughout the day. You don’t want to miss the one of a kind Beard Derby, so if you have to pick a small window of time to come, that would be my recommendation. 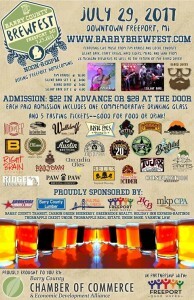 Help support great causes and a small town and county trying to bring Michigan beer to everyone.